Sleek legs carved from solid poplar, with book matched cherry veneer top in warm, antique pecan finish. 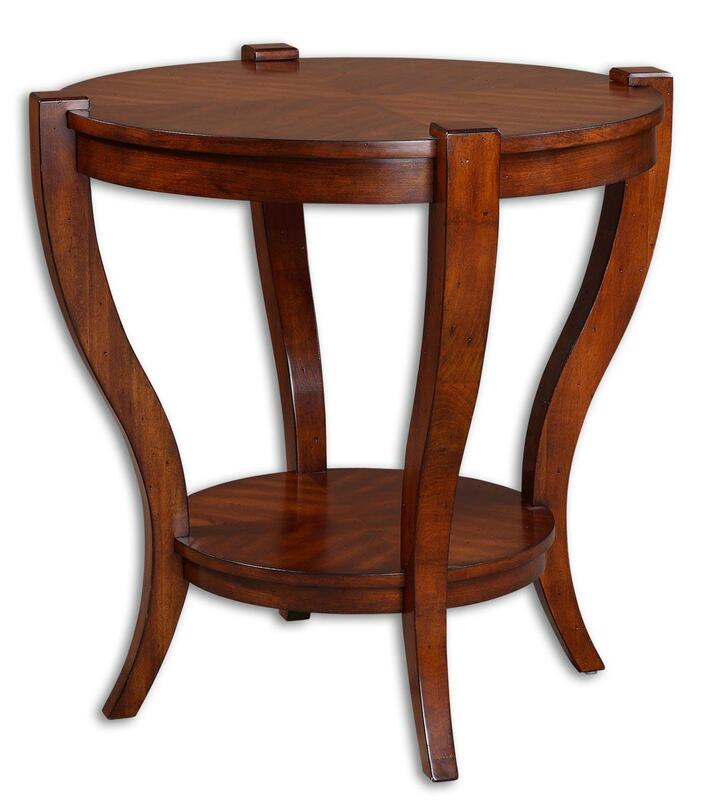 The Accent Furniture - Occasional Tables Bergman Round Mission Style End Table by Uttermost at Miskelly Furniture in the Jackson, Pearl, Madison, Ridgeland, Flowood Mississippi area. Product availability may vary. Contact us for the most current availability on this product.